…basically you throw everything into a pot and mix it all together into a smooth consistency. Then you stick a piece of bread on a fork, pop it into the mixture, and see what comes out. That’s your project learning, driven by a thinking process called retrospective coherence. From a project review perspective I’m not sure when they became a ‘thing’. I don’t recall being involved in ‘project reviews’ and ‘post project learning’ in my early working life. It seems to have become standard practice since the concept of ‘Learning Organisations’ and PRINCE2 project management have become commonplace. What matters though is that they both exist. Basically retrospective coherence is a thinking process where we make sense of events that have happened in the past. By thinking retrospectively (looking backwards) we neatly put events in order, so that they make sense to ourselves and others when we ‘tell the story’ of what happened. In this post The Mystical Acronomicon, ComplexWales explains how retrospective coherence often happens when people are writing case studies. The polished case study suggests a logical liner process with stages which neatly spell the acronym H.I.T.S. In reality however the stages happened as a convoluted mess spelling S.H.I.T. illustrated below. For me this has a major implication for people using case studies. How can you replicate (copy) something if it didn’t actually happen the way it’s described? 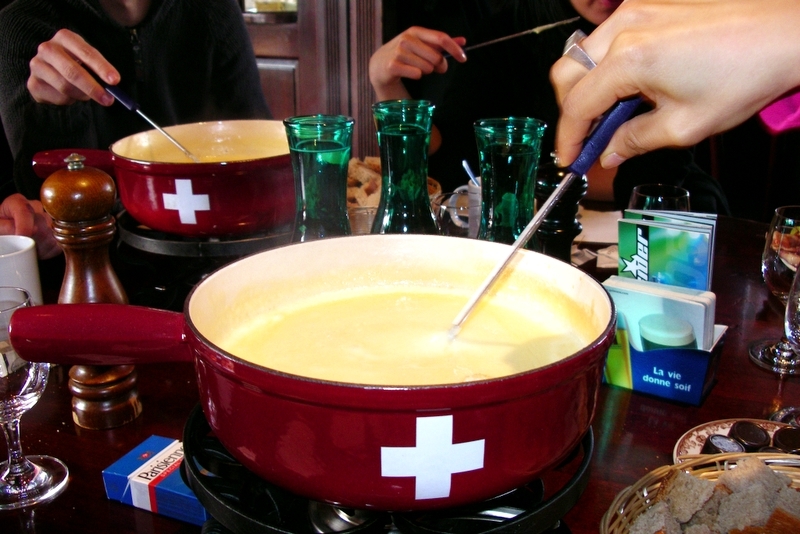 From a project review perspective I think this case study example fits the Fondue metaphor perfectly – a gloopy mixture from which a precise example of learning is extracted (I’ll get my coat…). What I took from this was the idea that a project review held a significant time after the end of a incident isn’t going to yield learning points that are as useful as those that you get from capturing them in the moment (or as soon as you possibly can afterwards). Rapid Reflection is Essential. I think this is a big deal. Lots of organisations invest heavily in project reviews and post project learning. I have encountered situations where people feel that nothing much happens as a result of them – the learning (if there is any) doesn’t get used and nothing much changes. Maybe they are just caught up in retrospective coherence and drawing out generic messages of little value from the gloopy fondue? If you want to read more about retrospective coherence have a look at this post from Modus Cooperandi : Is Retrospective Coherence a Cognitive Bias? Also of relevance, the transfer of learning in organisations is influenced by the rules and practices that exist – the learning we share depends on what the rules say. If you’ve done something brilliant, but it doesn’t fit with the existing rules, you probably won’t tell anyone. In this post I wrote about work of Professor Harry Daniels from Bath University; Field notes to report, what we write down in reports is different to what actually happens. How do you make learning real time? This is a difficult one to answer. The easy thing to say is that you ‘make notes and keep a log as you go along’. I’ll stick that in the ‘bleeding obvious, easy to say, hard to do’ folder. I’m sure that there are people and teams who will do this already. Digital equipment means that it is possible to record a vast range of activities. However, how much of the recorded material is used for learning and how much is actually for other purposes like protection against insurance claims? A kind of team ‘dash camera’ that only gets looked at if there is a crash or claim, never for routine learning? Returning to the Cheese Fondue metaphor, this paper ‘Hot cheese: a processed Swiss cheese model’ in the Journal of the Royal College of Physicians of Edinburgh talks about the need for the continuous capture of learning. I’ve tried to capture the main points in this post, Struggling with Learning from Failure? Just host a Cheese Fondue Party which ends by making the point that it’s better to try and learn as you go along, rather than leaving it for the Fondue Party at the end. Learning from project reviews is a good thing. Just be aware of the pitfalls particularly if you leave it for a long time. Try to capture learning points in real time or as soon as possible – when you can still feel the emotion. Think about involving people as ‘observers’ to stand on the ‘outside’ of the activity and record the points of interest and potential learning . I am often interested in what you write, love your humour and sometimes take some of your ideas forward into my own work helping teams perform well, but this is the first time I’ve felt I’ve had something to offer back. The project review or retrospective probably started with US Army Official combat Historian, SLA Marshall in 1943 as I describe below. I am a specialist in training individuals to facilitate After Action Reviews to full effect and avoid all the “group hug” pitfalls and ensure worthwhile change comes about as a result. I’m helping some parts of the NHS do this with great effect. In this environment, we often don’t do AARs immediately afterwards as emotions can be running too high and some individual processing time is required before the participants in an event (eg a particularly difficult Cardiac Arrest, a drug error or a project delay) can regroup to learn together. The success of these relies on the skill of the AAR “Conductor” to set and maintain a psychologically safe environment for learning and move people through to action planning as well as personal learning. It’s not easy, but the results are incredibly impressive even in a short space of time.